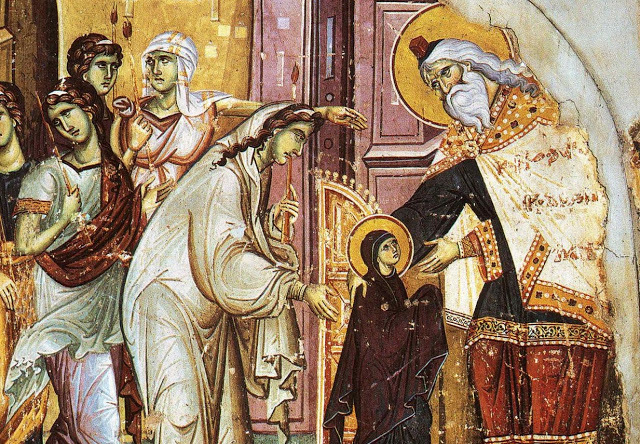 Jesus Christ begins his public ministry with a seemingly weird and unexpected action. He decides to go to the shore of the Jordan River to get baptized by Prophet John. In fact, people would come to John in order to admit that they were sinful and deprived of God’s grace. Those people yearned for spiritual renewal and repentance. It was precisely what St. John called them for: And he came into all the country about Jordan, preaching the baptism of repentance for the remission of sins; As it is written in the book of the words of Esaias the prophet, saying, The voice of one crying in the wilderness, Prepare ye the way of the Lord, make his paths straight. (Luke 3:3-4). 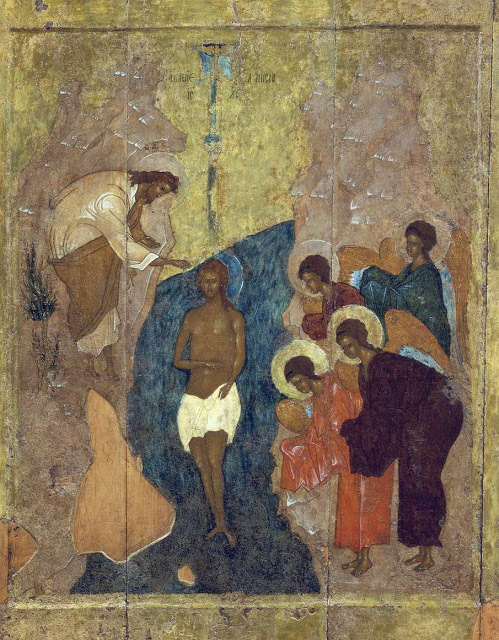 Why did Lord Jesus go to the Jordan River to be baptized from John, given that He was absolutely sinless, according to the doctrine of the Orthodox Church based on Divine Revelation? 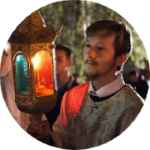 We may find a very profound answer in some worship hymns of the Baptism of the Lord, following the time-honored maxim Lex orandi est lex credendi (the law of prayer is the law of faith). 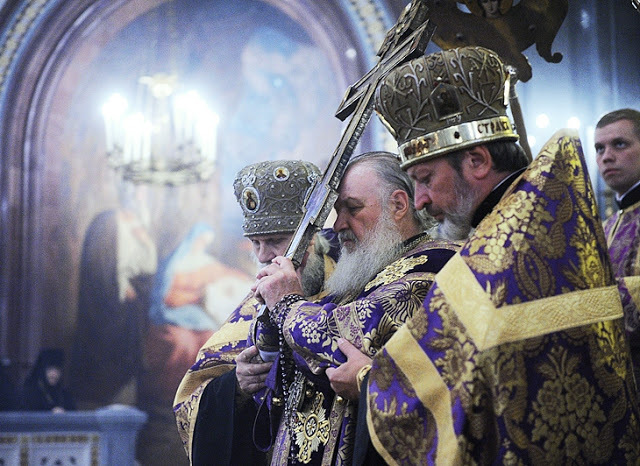 During the entire service of the Baptism of the Lord, church hymns keep repeating that when the Savior descended into the waters of the Jordan, He purified waters by his divinity. What does it mean? And why does water need purification? In fact, the world is literally contaminated with sin and lies in wickedness. When Jesus walks into the waters of the Jordan, He performs his first exorcism, his first purification of the matter poisoned by the sin, his first transformation of the creation, which groaneth and travaileth in pain together until now (Romans 8:22). The Church of Christ keeps doing what her Head once did even now: She purifies everything; She transforms matter and the cosmos itself with her Sacraments and rituals, and brings it to God, for She deems it the purpose of a redeemed human to transform the matter and to dedicate it to the Creator. 2. Destruction of Evil Forces. We often hear about the Lord crushing the heads of the serpents in water. What are those serpents? They are mentioned not only on Theophany Day but also during all blessings of water, including every Sacrament of Baptism. Do some spiritual entities or beings swim in the water font in the middle of a church before the consecration of water? That’s what Protopresbyter Alexander Schmemann, an outstanding liturgical scholar and theologian of our time, has to say about it: “Matter is never neutral according to Christian worldview. If it isn’t attached to God, i.e., not interpreted and used as a means to interact with God, as a way of living with him, it turns into a carrier and dominion of demonic powers. It is not surprising that the rejection of God and religion goes hand in hand with materialism, which claims that it possesses the latest scientific ‘knowledge’. The unprecedented war against God, which has taken hold of more and more of the so-called civilized world lately, happens in the name of that ‘scientific truth’. It is not accidental, either, that pseudo-religiosity and pseudo-spirituality are more often than not based on rejection of matter and therefore of the world itself: the matter is viewed as evil, which is a blasphemy against God’s creation. Only the Bible and Christian faith view the matter as something that’s essentially good but on the other hand also a tool of human downfall and enslavement to death and sin, by which the Satan stole the world from God. Only in Christ and by his power can matter be liberated and become the symbol of God’s glory and presence, the mystery of his action and unity with man, again.” (Protopresbyter Alexander Schmemann, Of Water and the Spirit). 3. Fulfillment of the Law. 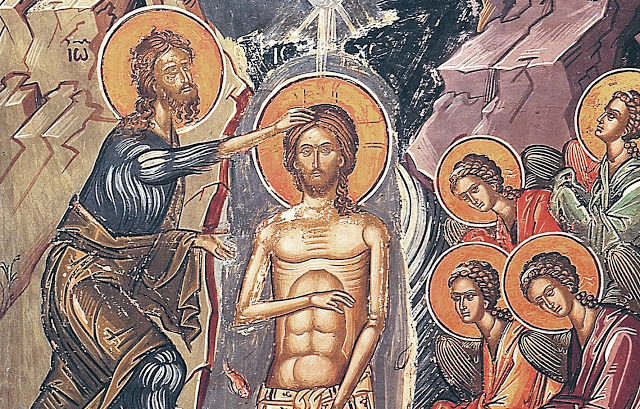 Although the Lord didn’t need to be baptized because He had never committed any sin, He nevertheless allowed John the Baptist to baptize him, in spite of the fearful protest of the Forerunner – I have need to be baptized of thee, and comest thou to me? (Matthew 3:14). He did it for our sake because our nature, which the Savior had assumed, was in need of Baptism and purification from the ancient curse. Also, the Lord came not in order to break the Law but to fulfill it. John’s ptism was the last Old Testament ritual because John the Baptist was the greatest and the last prophet of the Old Testament who proclaimed God’s will, which all people had to abide by. The Lord replies to St. John, Suffer it to be so now: for thus it becometh us to fulfil all righteousness (Matthew 3:15). 4. Apparition of the Holy Trinity. Epiphany. 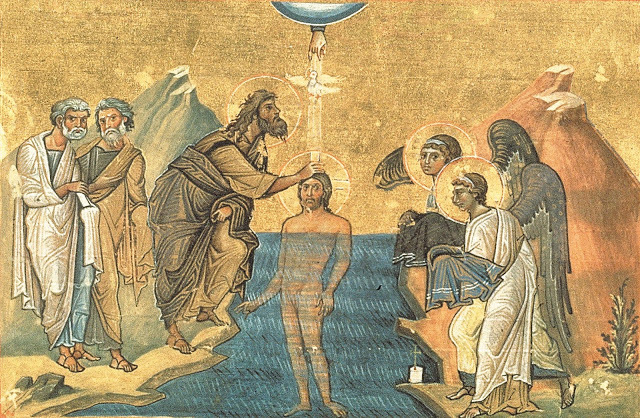 The Baptism of the Lord marked one of the greatest apparitions of the Godhead in the history of the humankind, hence the ancient name of this holiday, Epiphany. The Lord reveals himself as the Holy Trinity, the Father, and the Son, and the Holy Spirit, while at the same time being One God. The doctrine of the Holy Trinity is the most marvelous and majestic truth of Christianity made known by Jesus Christ. The Holy Trinity is the absolute plenitude of goodness, love, harmony, and agreement, which constitutes His greatest beauty and freedom. Most strikingly, every individual of any age and any rank is called to enter the relationship with the Triune God and let the Lord into their heart. The love of the Holy Trinity will animate everything and everyone around that person. To sum up, we can say that the Lord was baptized by John in the waters of the Jordan River in order to purify water and to pave the way for the restoration and purification of the created world. 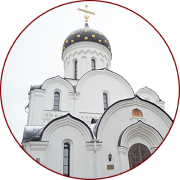 Today, every Orthodox Christian who is vested with priestly grace can do what Jesus once did by putting his fingers into the baptismal font and making the sign of the cross with them. Moreover, all Christians are able to perform the great Sacrament of Baptism in extreme cases. 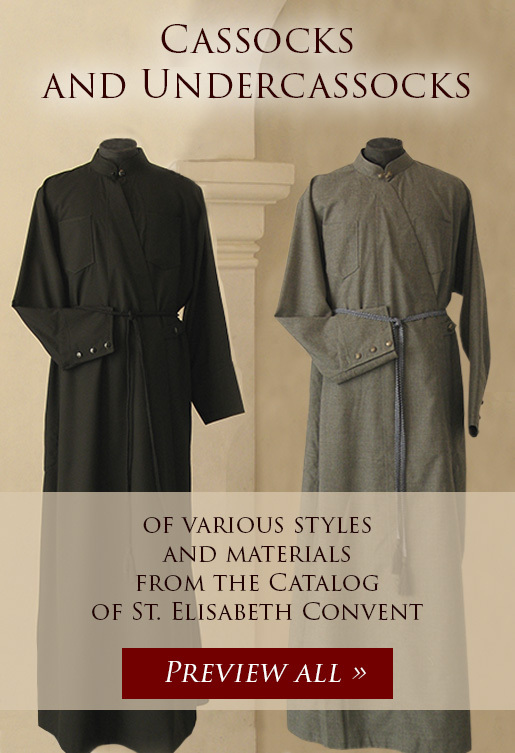 If we recall that we are the universal royal priesthood, as Holy Apostle Peter said, we can transform the entire Cosmos with our prayer, multiply love, crush invisible serpents, and purify ourselves, our food, and our houses with the Holy Hagiasma, that precious gift that the Lord gives us on this day. 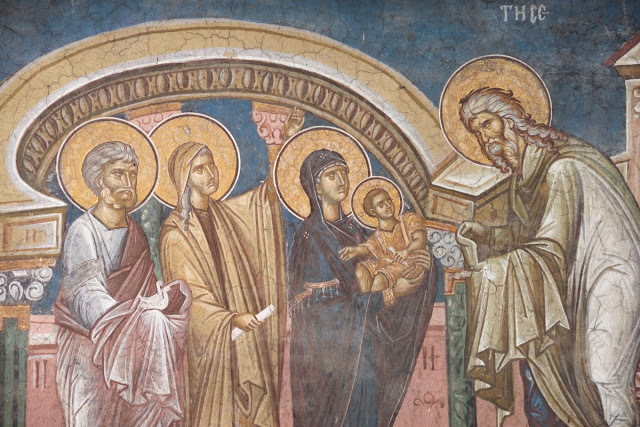 Christ came to the world to fulfill the Law of God and to bring grace into the world. He came to us in order to reveal the Mystery of the Holy Trinity, to redeem us from our sins, and to pour God’s love into our hearts. Let us exclaim Amen happily and accept His gift.